Boola, Boola, Boola, Boola, Boola, Boola! In Connecticut it’s easy to think we have two collegiate sports teams: The UConn men’s and women’s basketball teams. (Props to Randy Edsall and the UConn football program for now being part of that conversation though.) A bunch of national championships and records will do that for your team. But there are a bunch of other collegiate teams in the state (at all levels) that have been national champions and/or at least have been ranked in the top few spots in the country. Being a huge hockey fan, to the point where I’d watch random college hockey on TV over the World Series, I wish more people in the state knew about the Yale Bulldogs program. 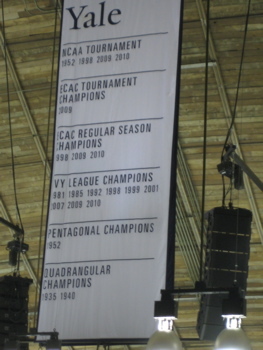 (And what Quinnipiac has done up the road is as remarkable as what UConn has done with football). 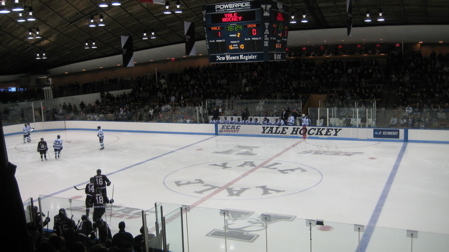 At the time of this writing (December 2010), Yale hockey is ranked number one in the country. Now, for whatever reason there are a lot more “smart people” schools ranked in hockey than in other sports, but this is pretty big news to the few of us who follow such things. In hockey world, the Ivy League isn’t really the Ivy League but those who play hockey are in the ECAC. The usual big-boys of northeastern hockey reside in Hockey East (BC, BU, Maine). But don’t discount the ECAC. Anyway, back to the ECAC. It’s not typically a power conference like Hockey East, the CCHA or the WCHA. But hey, it’s got the best schools (the Ivies minus Penn and Columbia) and some of the small liberal colleges like Union and Clarkson. And it’s got the number one team in the country right now: Yale. You know how elite college soccer programs have kids from all over the world? Well, Yale’s hockey team, you’ll be very surprised, has ten lads from Canada on it. Amazing how that works. But there are also a bunch of guys from Connecticut – or who at least attended hockey farms like Avon Old Farms prep school. But who cares, these guys are in New Haven to get a great education and to play some great hockey – at an absolutely great rink. Ingalls Rink is awesome. In fact, even if Yale was abysmal I’d still take in a game or two here. The building is part of the excellent Urban Museum of Modern Architecture – and it was designed by one Eero Saarinen (Yale ’34). You know Eero – St. Louis’ Gateway Arch Eero Saarinen. Dulles Airport Eero Saarinen. The man liked curves – what man doesn’t? 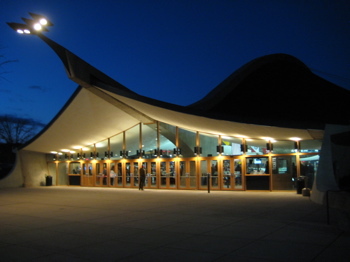 – and Ingalls rink was a revolutionary use of them back in the late 50’s. In fact, its suspension roof principle was the first time any university building the world was built using it. But you can read more about the building in the UMMA write-up here. President Truman called it a “nightmare.” Haha. For now, this page is about the hockey experience. First, there’s not a bad seat in the house and the tickets can be had for under 15 bucks. I didn’t even sit down at all. I didn’t need to – the street-level walkway around the top of the seats provides plenty of fine viewing for the cool guys like me. 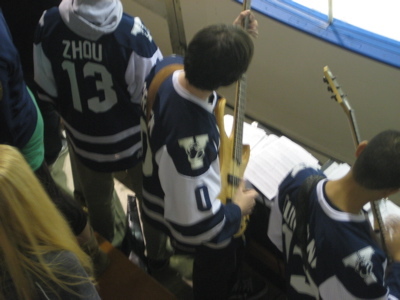 I found a spot above the Yale pep band and – hold on. Give me a moment here. Even though my brother was a band geek and I think the world of him and even though the love of my life, my incredible wife, was a band geek, I find band geeks annoying beyond description. And Yale band geeks? Ho. Lee. Crap. Now, I could easily have moved away from them, but I couldn’t quite stop staring at a few of the bandos. The quick snippets of pop songs they blazed through during stoppages were fun and well –executed, and a lot of the kids actually seemed somewhat engaged in the game which I found pretty surprising. (Then again, their team is NUMBER ONE IN THE COUNTRY). Yes, you see a saw “case” between his legs. Right behind him was another young man who played recorder. 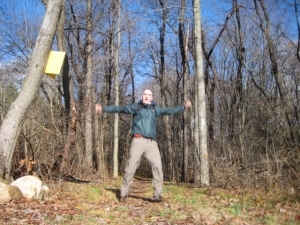 Not just one, but he had a line-up of three recorders of varying sizes which he scrambled towards with the start of each song – as if it mattered in the least. Dude, no one can here your stupid recorder. 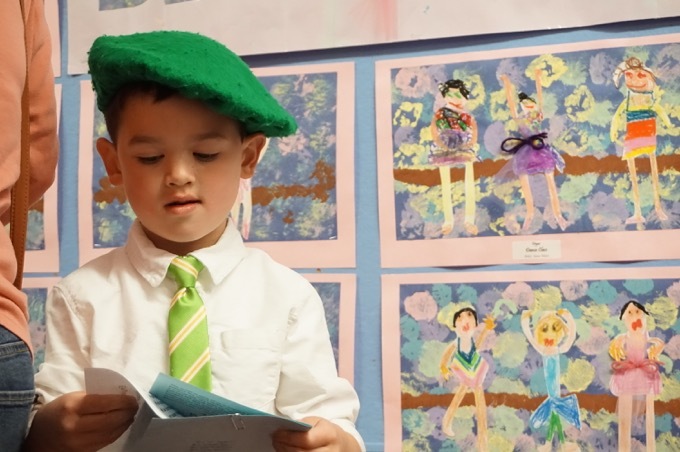 It was fun to watch the little geniuses doing homework between songs. Homework I couldn’t ever hope to be able to do. Yale was playing Union who had a hope of escaping New Haven with a tie or even steal a win. It wasn’t going to happen with the Yale goalie being impenetrable all afternoon. Yale was quicker and just more skilled at all positions than Union. I was impressed with the pace of Yale’s play, their penalty kill and their forechecking. I was also impressed with ESPN for showing this game on their ESPNU channel. More impressive? 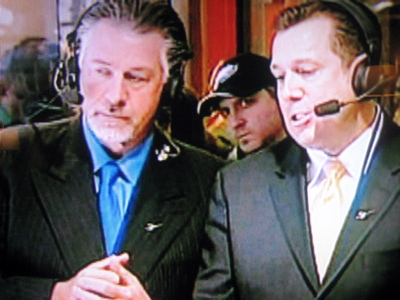 My main man Barry Melrose was in the house doing color commentary for the game. 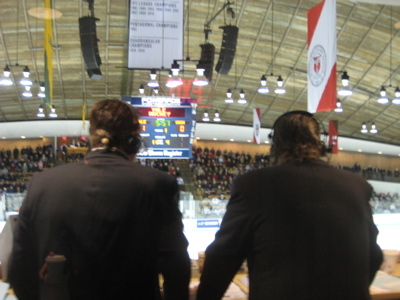 Even better was how accessible the media booth was – as you can see in this bad picture (from the TV later at home) of me behind Barry during intermission. Yes, his mullet is very real. Me and my boy Barry Melrose. There are a few historical display cases at the rink’s entrances and down below the stands is a whole very nice display of the history of Yale hockey. Did you know the first ever American intercollegiate hockey game was a 2-2 tie between Yale and Johns Hopkins down in Baltimore? Of course you didn’t know that. Neither do Brown or Harvard either. Read the first sentence of the second paragraph here. That would be two years after the 1896 tilt in Baltimore. Yale went on to win the game 5-0 and has kept on winning since my last game down there. The game was sold out (Ingalls only seats maybe 2300) and the crowd appeared knowledgeable of the game and enthusiastic regarding the action. I spoke with several fans throughout my day – including a group of men before the game over at Anna Liffey’s – and every conversation was a good one. 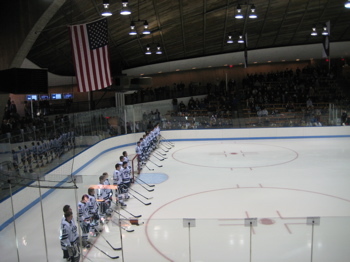 If I lived closer to New Haven, I would go to many more Yale games – and especially when they’re ranked number one. 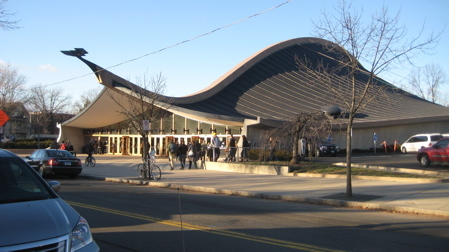 Ingalls Rink may be the single Coolest Building In Yale. The ingenious design distributes more seating towards center ice, & less at the ends. The angle for viewing is great.